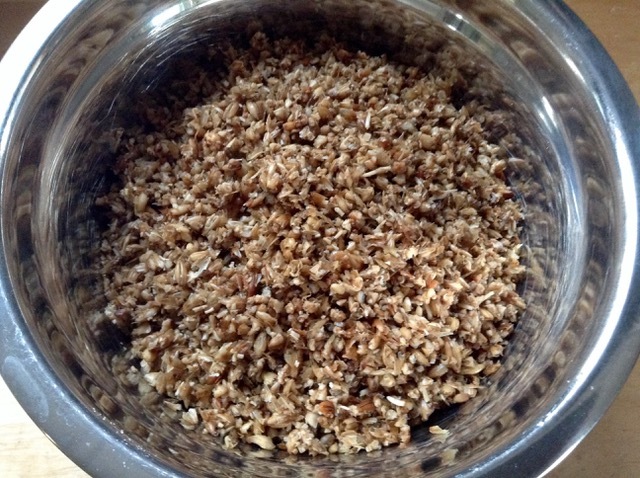 When I heard about breads made with spent grains - leftovers from beer brewing - I was fascinated. How interesting! But, where on earth, could you come by those mashed grains, unless you worked at a brewery? We have two micro-breweries in Bar Harbor, so I left a message, asking whether I could purchase a small amount of their spent grains. The sobering answer: the mash goes to the (dogs) hogs. All sold to pig farms - sorry! So I gave up on the idea. Then, two years ago, I found a Groupon in my emails with a real bargain on a small brewing kit. A beer drinker, and always curious, I ordered it - but then the bulky package ended up in the basement, with other rarely used kitchen equipment, like the lobster pot. The best of all husbands needs some quality solitude now and then, playing his guitar and recording his music. Left to my devices, I unearthed beer kit and lobster pot (just the right size for the mash! ), and went around in the house with a thermometer. Our guestroom closet proved to be the ideal environment for beer fermentation: cool, but not cold. And dark. Looking at the packages with malted barley, I realized: here was not only the base for my first (hopefully successful) stab at brewing, but, also, finally, the source for spent grain. I visualized us drinking my very own Pale Ale, while enjoying a loaf made with the leftovers. Whether the beer will be drinkable or not, I don't know, yet. Its precursor is foaming, happily bubbling away, next to our winter boots in the closet. Many of my bread concoctions are based on porridge breads à la Tartine, tweaked to meet my needs (a bit tangier) and accommodating all kinds of grain/nut/seed combinations, like the squirrel-channeling Acorn Levain. The bread I came up with contains a good measure of spent grains along with whole wheat. It turned out to be a very pleasing, hearty loaf - this newbie brewer was delighted! Definitely a keeper. And I still have a bag of barley mash stored in the freezer, for my next recycling adventures. To see the recipe and procedure, including a downloadable BreadStorm formula, please, follow me to my blog "Brot & Bread". Thank you for sharing this! Amazing what one can do with a little bit of creativity! Great work. Next time I expect you will substitute your beer for all the water in the final dough. I was a brewer before I took up SD. It's a very similar obsession. With all grain home brewing you can make first rate beer. but first wanted to try whether I like the taste at all. But I will definitely try that in my next loaf. I found the beer brewing process, so far, very entertaining. Wrote all the steps on a big piece of paper so that I wouldn't forget a ny detail, and could look at it while stirring in the pot. I was going to try it today--I had s can of Murphy's in my hand, but I chickened out. Rye seems like the bread to try beer with first. I was making a Hamelman 50/50 WW/AP with an overnight soaker of rolled grains and the remainder of last week's Hamelman 5 grain levain with rye SD. 150G of old bread was enough uncertainty for one day. I ended up adding about a cup of water during the mix. This one sure looks very nice and has to taste as good as spent grain can taste:-) I say make more beer and feed pigs....I used to chop my grains coarsly, when making beer, to help convert the starch to sugar and extract every bit of alcohol from them as fast as I could. I drove by a pig farm almost every day, when I was living in Germany and even after it had shut down its operation you could smell it! Tomorrow I will siphon the wort, have no idea what the beer will taste like. Let's hope for the best. 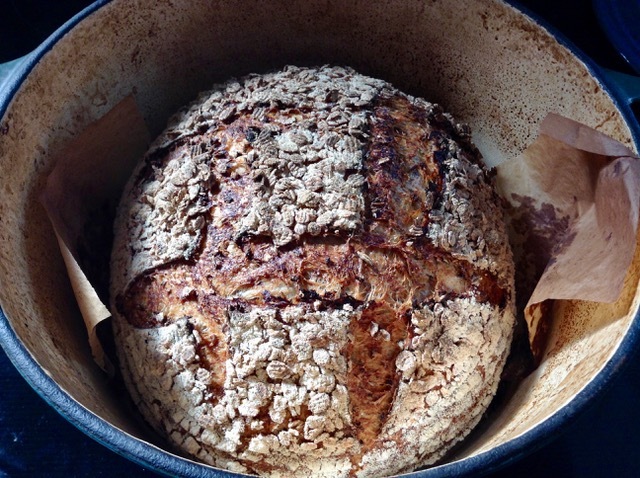 Some people don't like spent grain breads, but unless you're baking for them, it's irrelevant. Personally, I'm pretty neutral. None I've tried have left me willing to make an effort to obtain the grain so I can make them. But if I were a home brewer or was given some, I'd very likely use at least some of it. I think it is just something I have in my head. After squeezing out every drop of alcohol from the grains during brewing, I have this 'really spent grain' in my head and that is what I taste. I bet if I didn't know it was spent grains I wouldn't even l know. But if I had 2 breads to taste and that 1 of them was spent grains I would hope I could pick it out....maybe not? I would have thought the same. Spent = spent. Looks delicious. Brew and bread - now you can have a toast and toast. When it comes to spent mash there was one ol' time moonshiner in our mountains that had the fattest hogs for miles around. He kept them at his still on the top of a high, steep knob and fed them plenty of spent mash. There was only one narrow path up to his still and when the revenue agents tried to catch him they'd meet a pack of fat hogs charging down it. They never did catch him. Maybe I should get some hogs! the Ozarks you could smell the mash a mile away and the revenuers could too! They caught him 3 times. Pigs would have been his salvation and likely kept him out of the hoosgow! He made the best watermelon wine but that never put off a smell and he never got caught making it. That wine was the most beautiful pale pink. We've got a good thing going in this household. 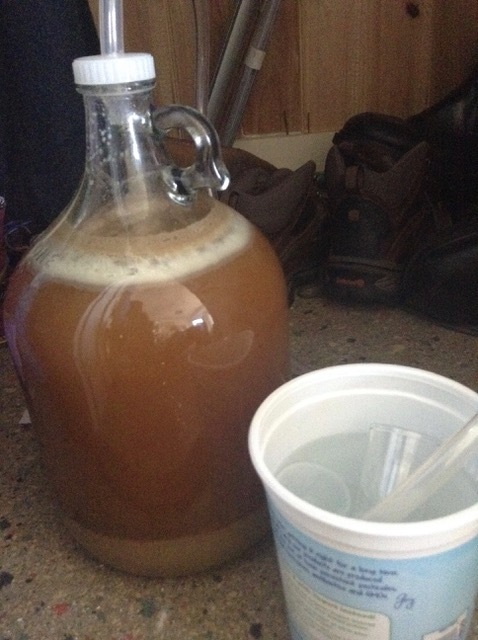 My DH makes home made beer (from extract, not from the grain) and wine. I use his beer in two of my breads - and Ale & Yeast bread, with the poolish made from the lighter Pilsner; and a Stout Multigrain, with a poolish made from his stout. We supply some of the bread back to the place where he buys his beer and wine supplies and 'trade' the bread for more beer supplies (and various kinds of special malted grains for me to use in more bread). They have also offered spent grains, so I might take them up on it. The only other time I've gotten spent grains was from a local craft brewery and I got three or four large, leaking sacks of them. Those were to spread on the garden as compost / mulch, and they did smell a bit ripe for a few days! Just a note - using beer as the liquid in a poolish bread adds wonderful flavour to the bread and it doesn't taste strongly of beer at all, even though this is a mostly-white bread. So go ahead, try it! I'm glad your bread turned out well, Bob! Yes, the dough definitely needs some help keeping its shape with all the moisture that is trapped in the spent grains.